To all our members, sponsors, partners, ambassadors, guides and volunteers. Welcome to the September edition of the Achilles NZ newsletter. From our major partner Cigna and a wonderful opportunity for five of our members so do not delay in applying! 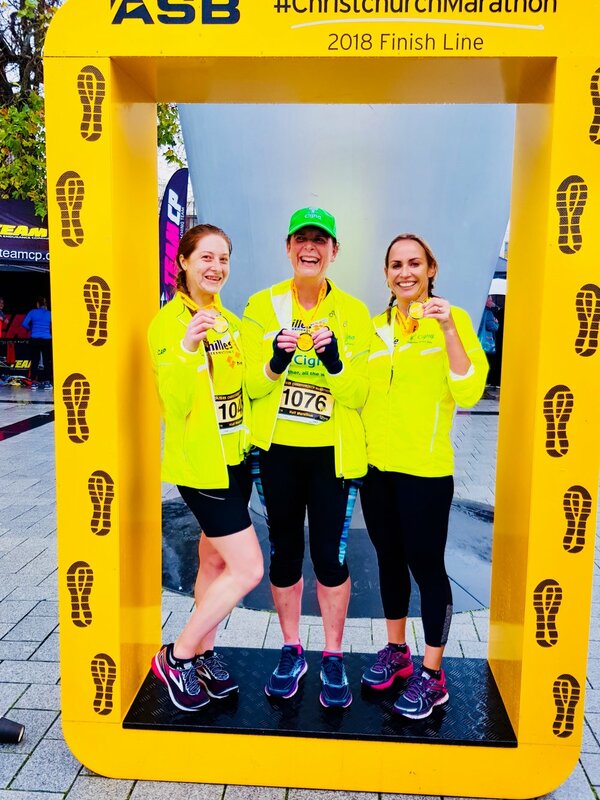 Would you like to take part in the Queenstown Marathon on 17 November 2018? Cigna would like to help get you there. Tell us your ‘Journey to Queenstown’ story to be in to win one of five Cigna Achilles Athlete packs* for you and your guide. 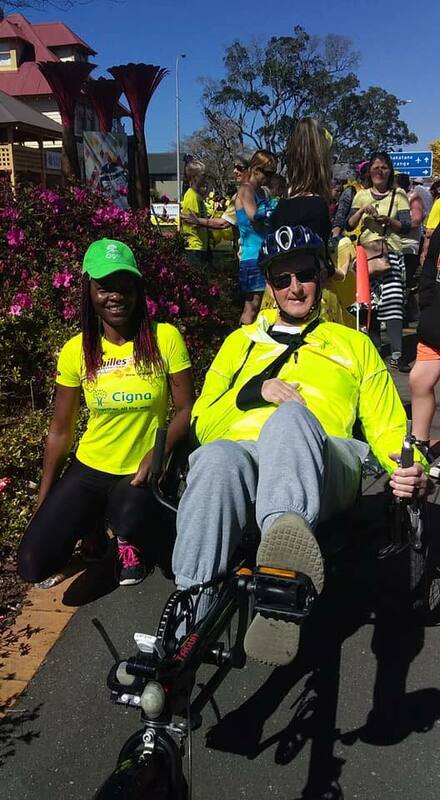 We’d love you to take part in the Cigna 10km race event, but if you’re fit and ready to take part in a longer distance that’s fine too! Unfortunately, as the event is not wheelchair accessible the competition is only open to Achilles athletes that can walk or run. With the event so soon you’ll have to get in quick to be in to win. Entries close Friday 12 October 2018. A special Achilles welcome to Lisa on the right of this pic standing alongside Nicola and Zoe. 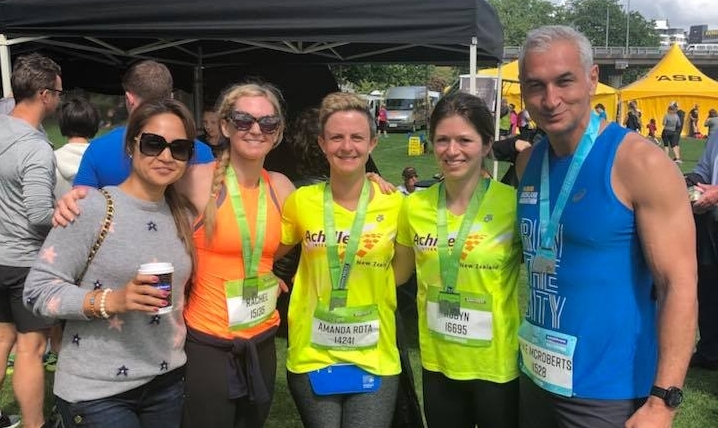 It is always an honour for Achilles that we have people willing to help Achilles grow and volunteer their services in a number of different ways in the Ambassador role. The longest I’ve run is a half marathon, but watch this space. Nicola Asmussen, the blind athlete I’ve been guiding and I, have the 2020 New York Marathon in our sights. Look out! 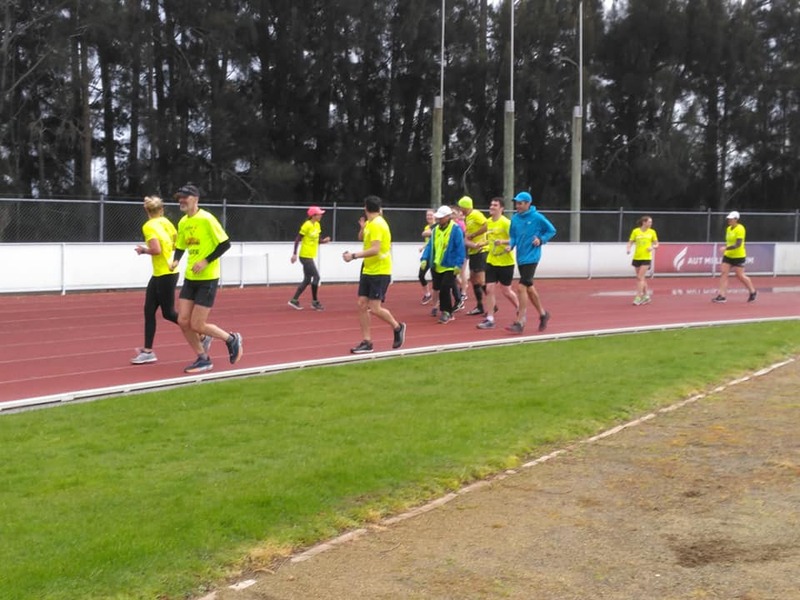 The Wellington Half marathon, then the Tai Tapu 15km. Rather frustratingly, but so typical for a runner, I have an injury rendering me pretty much useless as a guide right now. But I’ll be back! I became a guide because I was looking for a way to help make a difference in someone’s life, and support them to achieve a dream. I really didn’t realise that in doing that I would be so incredibly inspired by the strength and bravery of all of the Achilles Athletes that I’ve met. When I’m not running I love boxing. Just circuits, I could never actually hit anybody (I don’t think). I enjoy skiing, but I’m terrible at it. I love big hikes to great views. Is drinking wine an acceptable hobby? This is tough. I love food so it’s very hard to single one thing out. But not a day goes by when I don’t eat chocolate in some form…. I love the strong sense of community within Achilles NZ. Everyone involved is an enthusiast, and the energy and passion to make amazing things happen is very contagious. I leave every training with the biggest smile on my face. To me it’s about bloody good times with bloody good people. Helen Mirren. I love her strong sense of self, and my favourite quote from her was “I wish I told people to f*** off more often”. Honey badger. I’ve become embarrassingly addicted to this show. I hope this admission won’t make you revoke my Achilles NZ guide status! Christiane Amanpour. I’ve long admired this incredible journalist. Her interviewing skills are something to aspire to. George Clooney. He could make the coffee. in the picture Left to Right - Wilma, Rachel, Amanda, Robyn and Mike after last years Auckland Marathon. We are always excited about this event and even more so in 2018 as we have 22 wheelies competing for the very first time (we even allowed two of our cousins from across the ditch to compete) plus our own Alana Lythe is an Ambassador. It is always a great party going on while the nearly 14,000 entrants are out on the course and afterwards. Please come down on Sunday the 28th of October to support all our Achilles member competing in all the events. 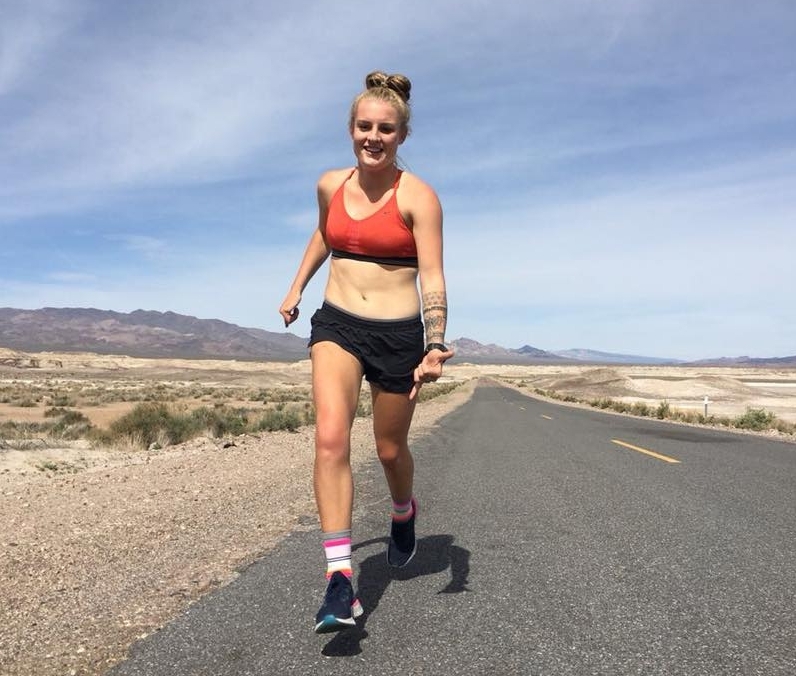 Picture of Alana Running down Death Valley Highway on her way from Los Angeles to Las Vegas. I am Alana and I have just started working as Achilles NZ Social media Coordinator - which basically means that I handle all things Facebook, Instagram and website related. I was previously a elite youth triathlete but at the moment I am running for the fun of it while Coaching a awesome group of U16 cross country and Track runners. I love That Achilles is so inclusive and allows everyone to get involved in this awesome sport! My mum had a accident and is a Paraplegic so i appreciate what it means for people with disabilities to feel like they have no boundaries and can take part in as many things as possible! I hope to start meeting you all at events, I will most likely be pointing a camera at you so make sure you smile! What Distance do you Run? I love the short and fast races like 5km and 10km but I am trying my first Half Marathon at the Auckland Marathon. What was the last event you competed in? I love Surfing during the summer and I also dabble in Sports photography and Art. I also have a need for speed so try get out on my Dirt Bike when I can. I love Salmon – actually I love ALL seafood but I love fresh Vegetables and ALL fruit too! I love that its such a Inclusive organization that caters for everyone! I also like that it give everyone a chance to compete and participate in the best sport ever – RUNNING! We are often asked whether someone should drink water or a sports drink - or both - when exercising. Understanding what to drink, when and how often is key to training and race day performance. Marewa has put together a simple rundown of the benefits of both options, and when to use them. 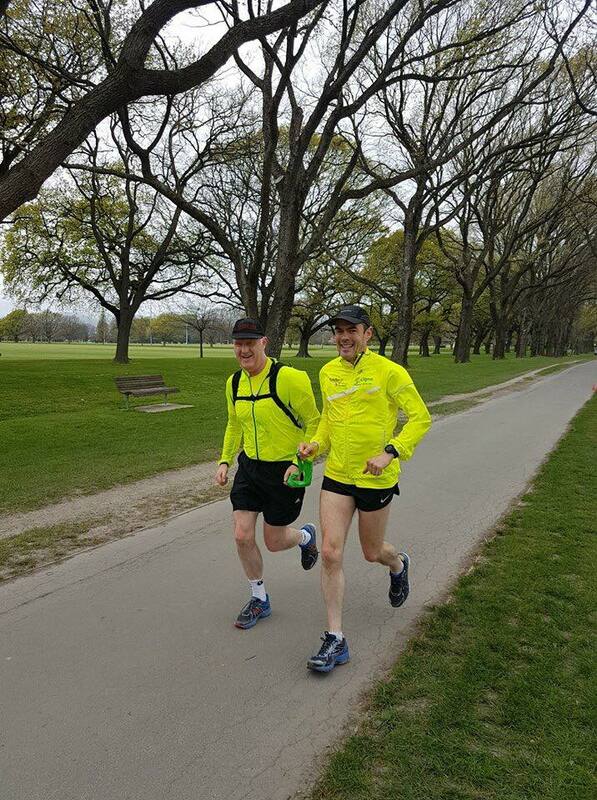 Next month we will have pics and stories from some of the 50 that is right 50 that competed in the Hamilton half marathon. Do have a great month in October as we enjoy more daylight time so it must be nearly summer right!!!?? Do keep up all the great training as you all participate and prepare to participate in events all around New Zealand or overseas. Check below for Pictures of all the Achilles action from across New Zealand over the past Month!